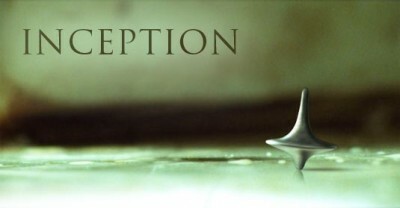 Inception – Wow! | Flecks of... Gray? This weekend, I was able to get to Inception in IMAX with some friends and although my expectations were really high, it still delivered!! I noticed that it’s currently #3 on the all time top 250 and while it won’t stay that high, it is an indication of how good it is. After the first trailer for this, I shut myself out of all other information on this film to make sure I knew as little as possible going in since I knew that I’d want to see it. The story is amazing, the visual effects are solid and the acting holds it all together. This movie rewards those that can follow complex plots with a deep story across multiple levels and helps it go down easy with lots of action. Nolan, the director of a couple of my very favorite movies (Memento (#29), The Prestige (#72), Batman Begins (#108), The Dark Knight (#12)) adds another to this list. Slightly behind Memento, this is my second favorite of his and that says a lot because I loved the Batman’s and the Prestige. I’m really excited to see his take on the third Batman which I believe that he’s writing presently. He’s becoming a hit machine the likes of which we haven’t seen since… Pixar!